Shoei neotec, quietest helm i ever owned. Caberg flip up. Latest generation has lockable up flip so complies with UK Law so you can ride with it open. Also handy for refilling as petrol stations won't serve unless face can be seen. I just bought a Klim Krios. And I am very happy with it. Fox V1 Pilot.. Cheap But meets all Required helmet Regulations and is cheap enough that when i have a get off i can just replace it no tears..
Shoei RF1200. For my brain housing, this fits best. I find it to be a very versatile helmet and have worn it during various types of riding. Sometimes I wish it had a visor. Recently started wearing a Scorpion EXO-AT950! 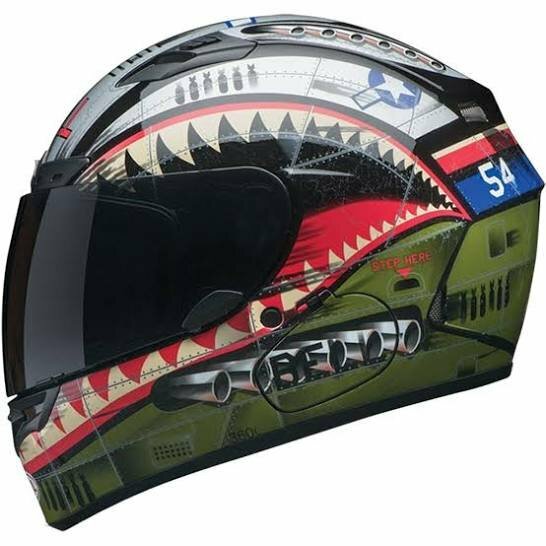 Nice helmet for the price! Not as nice as my Shoei Neotech but a WHOLE lot cheaper than a E-1! Replaced My Busted Fox with a Bell MX-9 much better fit on my head and with MIPS protection theoretically better and for not much more money I'm happy. Bought it last summer - wasn't happy about the flag but it was the best colour option available at the time. Bell qualifier dlx with Sena 10 I stalled.